The long wait for Game Gear titles on the eShop is finally over, with three releases arriving as expected. The DSi and Wii aren't entirely forgotten, while there's some anime on Nintendo Video: let's get right to it. 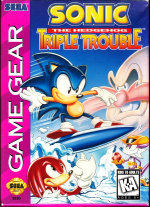 Sonic the Hedgehog: Triple Trouble (Game Gear, SEGA, $4.99) — Before Sonic and Mario became friends, the only way to blast through levels with the famous hedgehog while on the go was through the impressive (for its time) Game Gear. Does this title live up to its illustrious SEGA Genesis contemporaries? We'll find out in our review soon. 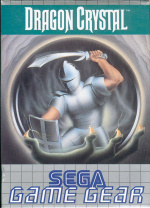 Shinobi (Game Gear, SEGA, $3.99) — Running, jumping, slashing and magic, in a ninja setting. 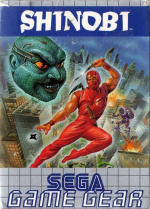 Shinobi is one of the most iconic action franchises that is still going today, and this was the first of the series developed for a handheld. We'll be putting the Red Shinobi through his paces soon. Dragon Crystal (Game Gear, SEGA, $2.99) — This RPG is most likely the least well known of this week's Game Gear releases. An RPG where you need to find your way out of a number of labyrinths, with plenty of weapons, armour and potions to retrieve along the way. We'll see if we get lost in our upcoming review. 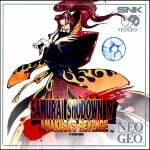 Samurai Shodown IV: Amakusa's Revenge (Neo Geo, SNK, 900pts) — It's yet another Neo Geo fighter on the Wii Virtual Console, but that's not necessarily a bad thing. With chunky, attractive sprites, thrilling battles and a sizeable single-player offering, this is worthy of consideration. Check out our Samurai Shodown IV: Amakusa's Revenge review for full details. Pirates Assault (CIRCLE Entertainment, 200pts) — Another tower defense title on the DSi service, your goal is to protect your treasure from invading pirates. With a variety of weapons and attacks apparently on offer, we'll see how useful they are in our review. Kid Icarus 3D Anime (Free) — Nintendo is partnering with renowned Japanese animation studios to celebrate the Kid Icarus franchise in a series of short episodes on the 3DS video service. This first anime series, Thanatos Rising, comes from Production I.G. There's certainly some variety this week, will you be downloading any of these? Hmmm. Game Gear games look interesting especially Shinobi, but i'm a little surprised at the lack of a Rayman Origins demo. Welcome to SegaLife, where all your Sega Dreams come true!!! "SAAAAAAY-GUUUUUUUH!!!" I actually want Dragon Chrystal. Video Games writers and editors, say it's a hidden gem. James didn't write that?! What blasphemy is this?! Where the **** is Of Myths and Monsters? @iPancakez The game has been delayed to June 6th. It probably delayed the demo as well. @Lordlz Ok, ok, I added 'for its time' in brackets! It was a colour handheld with visuals that surpassed Game Boy, it was also a battery guzzler, admittedly. What's with Sonic being so high?!? Nice to have some VC coming out the wazoo! Not sure if I'm interested in any of it, but we'll see. Picking up sonic and maybe Dragon Crystal. Unfamiliar with but intrigued by the Game Gear releases. Need to wait for reviews though! I miss the days when you could look forward to 3 DSiware games each week. Absolutely nothing of interest this week. Good for Game Gear fans though. And nice to see a new CIRCLE game, except it looks to be one of the more generic Tower Defense games with nothing really unique to spice it up a bit like in Dillon's Rolling Western and Glory Days Tactical Defense. I'll wait til their next game, hope they bring out a 3DSWare game this year. Been a real long time since I played Sonic The Hedgehog: Triple Trouble. Can't wait to play that gem of a game again today. Not really too excited about Dragon Crystal, but am willing to try it out. Shinobi is one game that really sparks a lot of interest from me seeing as how I only played very little of it on a friend's old Game Gear when I was a little kid. Never owned it so it will be fun to finally play this game the whole way through. To anyone else out there, don't criticize these games a lot. TRUE! They may look like they ain't worth the time to some of you but I assure you, games like Sonic and Shinobi are well worth checking out. Why are people whining about today's loot? We get FOUR Virtual Console games, and you're complaining about no demos. Whatever, guys. As for me, I will be thankful of today's swag and rub my 3DS's belly accordingly. Guess I'll download Sonic. Hopefully Kid Icarus comes soon. an rpg in the eshop?!?!!!! @mrdanger88 I am wondering why the heck they aren't giving us Myths and Monsters either...I guess it's the same place Wario Land (that they still haven't given us) is. Glad to see Sonic Triple Trouble though! More games that I'm only willing to pay 99 cents for. Waiting on reviews. Nice that the Wii VC got a game. Great but when will Mega Man X2 be coming? @Nintendi I hate it when people think they should pay 99 cents for something that is worth more than 99 cents, just because Apple does it. App Store: Lowering the value of games everywhere! @Capt N: It's actually been slowly reviving for the third straight week now. I'll be getting TT in about thirty minutes. @Samholy: The Game Gear rocked. It was just too ahead of its time, is all. Please tell me Columns comes next week! Yeah, ahead of it's time and killed batteries faster than iPod loses it's battery life. Okay maybe not that fast... Thing is, it had poor battery life. It was good for what it was though. Wow. All 3 Game Gear games at once? Daaaaang. Pretty awesome! Also, people! I think Kid Icarus isn't here quite yet because we haven't gotten the 3DS game yet! You get a free download of the 3D classic if you pre order it. So just be patient! Probably next week! lol .99 cents. If you can afford a 3DS, iPhone... Then why can't you afford GameGear games at a reasonable price? So far i like the eShop content much more than i do like DSiWare. sure they looked better than gameboy games at his time, but gameplay wise, they were a pain. i must admit that sonic had a little something in it, but its so far away from other sonic games. far...far away.save your few bucks and spend them more wisely id'say. At least we will now be able to play them without the need to carry around the AC adapter all the time. @Nintendi I'm sure Nintendo's crying right now over your non-commitment. They're literally begging you to give them your 99c. @SuperTeeter64 Europe has it but we don't. See, the thing is, I need it UNTIL KIU comes out. Once that game comes out I'm not buying anything for at least another 2 months (E3 and/or Rayman Origins). Well, I might buy the occasional eShop title, but it won't be Kid Icarus related. Glad to see another Neo Geo game. We now have Game Gear games too. A good update IMO. I thought they were giving away Thanatos Rising for a second. Oh well, I'll probably download Shinobi today. Holy damn, Shinobi is so much fun, I've been playing it most of the last hour so this isn't a full review or anything but I'm throughly enjoying it. As for Sonic, I'll be honest I've tried to force myself to like the old 2D sonics and I just can't, this is no exception, I'll get back to it but it's boring me for now. Not bad, but dammit, are we ever gonna get Wario Land? Has Nintendo given up on Gameboy support over here? I downloaded Shinobi, and I'm impressed with the game and the GG emulation. Sega went above and beyond with the features. I'm happy. Different colored Game Gears that is so cool. I'm guessing they just wanted their gamegear titles to live and breath by themselves a little while. I'm sure we'll see more if anything big isn't coming up on the eshop. Give me of Myth and Monsters already!!! CiRCLE make Dsiware games now! Why wasn't I told? And a strategy game! Great to see them embracing new genres! One more VC game! Excellent. The service has revived. I hope we have games every week. A question: This Shinobi is the same than the VC Arcade? Picked up Dragon Crystal. I'm a sucker for just about any game that's advertised as an RPG. And I'll keep hoping they someday release the Zelda oracle games on the 3DS VC. At last I can play Gamegear games without having to run over to my friends house or buy a handheld that goes through batteries like a starving man at a buffet. I been wondering the very same thing with Wario Land: Super Mario Land 3 myself. I don't think it's that they gave up on support for the GAME BOY. It's more like they're being lazy and just focusing more on trying to give people some NES games out to the gamers out there who missed out on being 3DS Ambassadors. It's annoying really I know, but I have a feeling it's coming within the next few weeks hopefully. I feel the same way you do man. Kid Icarus: Of Myths And Monsters is a game I never played and am waiting to see if NOA is smart enough to pay attention to it's North America audience and release the dam game here finally. With patience, it should be coming around the same time as Wario Land: Super Mario Land 3 comes out. I'm just surprised tbh that no one has squawked about the absence of The Legend Of Zelda: Oracle Of Seasons & The Legend Of Zelda: Oracle Of Ages yet. Hmm, probably will pick up Shinobi, unless the RPG scores unusually high reviews (I'm a few cents short on Sonic). Anyone else wonder why the Kid Icarus "anime", isn't actually anime. It's CGI. I'm kind of dissapointed that it (as well as the Kirby one) wasn't hand drawn. Heck, I wonder why Nintendo NEVER bothered to make a Mario anime for this day and age. Ones that would be animated but waayyyy different than the old small Mario anime movies in Japan from years past back in the days of the NES / Famicom era. This is a awesome download! Will be picking up Sonic soon..
Haha, wow! You guys totally jacked that 3DS/Gamegear photo from nintendoconnect! That's awesome! @CorusFace C'mon, that was uncalled for. @CorusFace You owe him a coke man. FULL SCREEN BABAY! AWW YEAW! I'm interested in everything coming to the eShop this week, but with only $4 in my account and quite a few good GB games overdue, I'll be cautious. The anime was terrible. Thanatos has a blog for crying out loud. Production I.G have done so much better. Really disappointing. Thanatos Rising was pretty... um... I'd have enjoyed it if I literally turned off my brain. Though I was amused by how the villain had the most non-intimidating voice possible. It was like Ed Wynn trying to destroy a town. I dislike Pit's voice, and the blog joke made me cringe. That said, I'm still excited about Uprising, and I might check out these GameGear titles, seeing as I've never played them. What was the point of putting demos in the EShop if they aren't going to be consistent.. I'm disappointed with the lack of Kid Icarus: Of Myths and Monsters here with only about 2 weeks until Uprising. However, I can't be too upset when North America's just had about the best VC week it's had in God knows when! This is a happy day for me, as a retro gamer! I hope this is a sign of a strong VC resurgence here (especially when so many games will be de-listed at month's end). I guess next week will be the last shot at getting 3D Classics Kid Icarus & KI: OMM before Uprising's arrival. It'd be wierd to get Uprising with the 3D Classics free download bonus and it not be out on eShop yet! People, the next Kid Icarus anime is going to actually be an anime. It will have 2D hand drawn art. Theres going to be 3 series, remember? I have samura showdown ii on wii, ssiv worth the money? 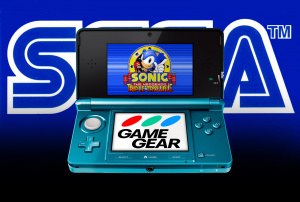 The Game Gear on 3DS looks amazing! I'd love to see Streets of Rage 1 and 2 on the 3DS VC next! Forget Kid Icarus: of Myths and Monsters, where's Kid Icarus: '3D Classics'! ?.....Why is NA getting shafted? I was a big fan of Sonic Triple Trouble back in the day so I'll definitely buy that one. Nothing else is really that interesting but nice to see GameGear games start rolling out on the 3DS VC. @samh: couldn't play anywhere without being near an outlet, huh? *looks at blinking red light on 3ds, sheds a single tear. It's a bit of a disappointment. I was hoping for the GB kid icarus game.."sigh* maybe next week. Pretty good week for downloads for me. I'm probably going to pick up Shinobi and maybe Dragon Crystal. I imagine Kid Icarus Of Myths and Monsters will show up next week considering that Uprising comes out around the same time. Seems logical but then again sometimes Nintendo can be an enigma. I would say both shinobi games on GG are the killer apps. I require Sonic the Hedgehog or Sonic the Hedgehog 2. Why werent those out first? What're you talking about? We're getting the best deal. Preorder Uprising and you get 3D Classics free. I'm assuming maybe Nintendo and SEGA wanted to get a Sonic game out there that hadn't saw the light of day yet on Wii. I mean, even though it's a portable title and existed on GAME GEAR , think of it. Sonic The Hedgehog and Sonic The Hedgehog 2 were already released on Wii VC as 2 Master System games. Besides, they're the same games actually. 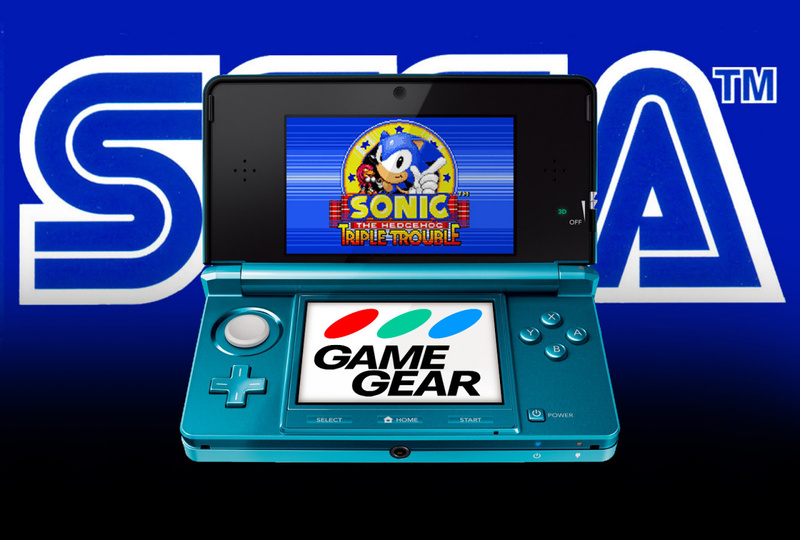 So bascially, the 2 GAME GEAR Sonic games of the same name are probably gonna be released sometime after a few number of GAME GEAR games show up.